Soon in just a couple of days, we will be honoring all moms. We come in many sorts, including shapes and sizes, colors, age, cultures, faith….and definition. Perhaps you are a bona fide stepmom, juggling the work involved in your home, being a wife, having a job, schedules, kids. There are wives who are stepmoms, but either chose not to have their own children, cannot have their own children, or aren’t pregnant yet, you just go right ahead and bask in the beautiful aura of your presence in a child’s life as a “mom”! For those women that are a “mother figure” to an elderly person, a foster child, an adopted child, a friend…..if you are a caretaker or advocate…join in and celebrate this day as well because you too, provide love, care, attention, and protection. We seek Christ and model the love He gives us, both on the cross and every day. I listened to a brief video snapshot of an upcoming marriage retreat on “Focus on the Family’s” website. The person said, “We are someone’s ancestor!” This struck me in a soulful way. Long after I am gone from this earth, my children, my grandchildren, and down the line, will have me as part of their family history. Who was I and how was I…will they speak of me kindly and acknowledge that I had a great love of God? Will I have used all of my gifts that God graciously bestowed upon me to love and serve others? Did I impact anyone’s life and lead them toward Jesus? Was I a woman who modeled a beautiful mother/grandmother figure? Did I love enough and love well? 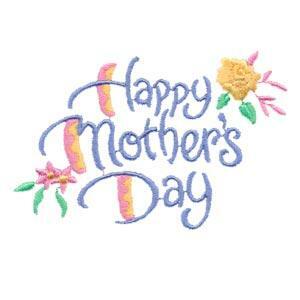 God bless ALL mothers and women in mothering positions. We are treasures. God created woman and her womb to hold and grow His future generations. This entry was posted in Advice, God in marriage, Relationships, Stepfamily, Stepmoms and tagged Christian, Family, Marriage, Relationships, Stepfamily, Stepmoms by Dori Pulse. Bookmark the permalink. I am so looking forward to our “breaking bread” together! A surprise…I LOVE surprises. I love you too!